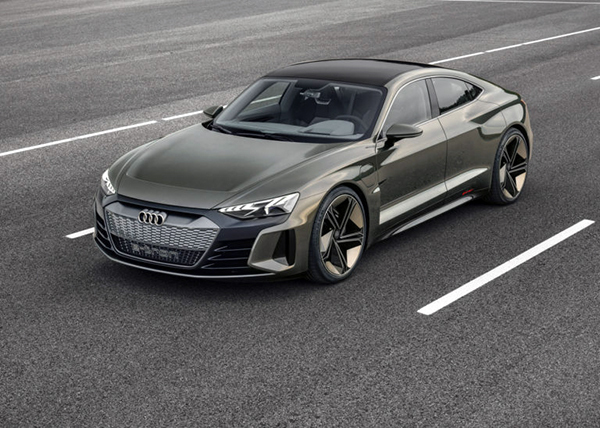 aerobd.news : This year’s LA Auto Show has seen Audi reveal its e-tron GT concept, with the automobile scheduled to go into production in two years time. 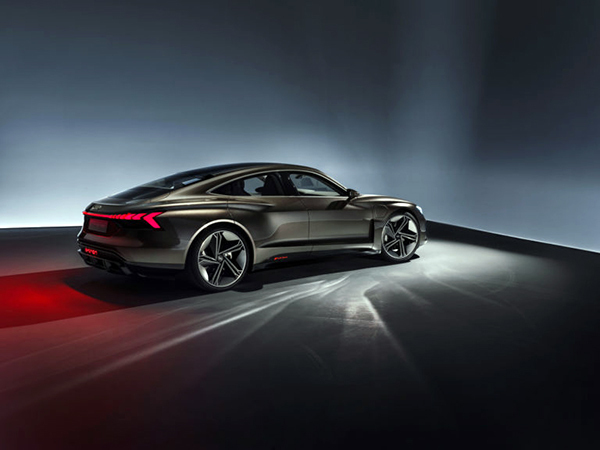 Developed in close collaboration with Porsche, the model will have a power output of 434kW (590ps). Electric motors have been fitted at the front and rear axles; in both cases these are permanently excited synchronous motors, which deliver torque to all four wheels. 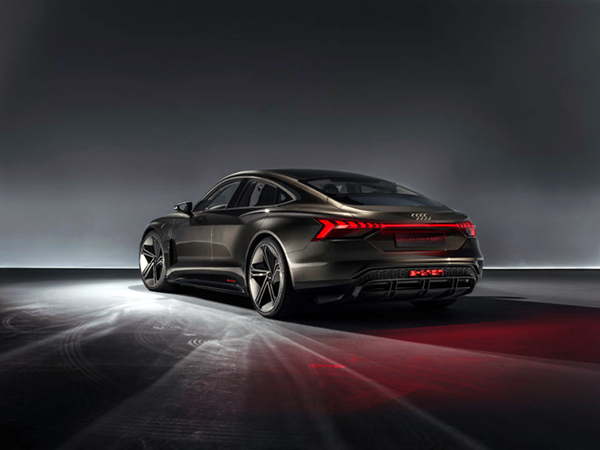 Audi aims for the e-tron GT to race from 0-62mph in around 3.5 seconds; and 124mph in just over 12 seconds. Top speed will be regulated at 149mph to maximize the range. Range will be over 248 miles, determined according to the new WLTP standard. The e-tron GT’s lithium-ion battery, which takes up the entire underfloor area between the front and rear axle, has a capacity of more than 90kWh. The recuperation system increases the car’s range by up to 30% using both the electric motors and the electrohydraulically integrated braking control system. The battery can be charged in several ways: either using a cable connected behind the flap in the left front wing, or by contactless induction charging through a special pad with integrated coil installed in the floor. The alternating magnetic field induces an alternating voltage in the secondary coil fitted in the floor of the car, across the air gap. With a charging output of 11kW the Audi e-tron GT can be fully charged overnight. Wired charging is much faster as the four-door coupé is fitted with an 800V system. This substantially reduces charging times compared to the conventional systems that are currently in use.